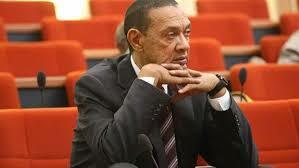 The Senator representing Bayelsa East in the National Assembly, Ben Murray-Bruce, has said only his constituents can ask him how much he earns as a federal lawmaker. He said this following the recent call by Itse Sagay, the Chairman of Presidential Advisory Committee against Corruption (PACAC), for the Senate to disclose its members’ allowances. Sagay had claimed that a senator gets N29million in monthly pay. Murray-Bruce, writing on the issue via Twitter, said it would be “silly” for critics of the senate’s wage bill to approach him. “It is silly for anyone to have a problem with the Senate’s salaries and come to me. Go to YOUR own Senator! “Except you are my Constituent, It is silly for anyone to have a problem with the Senate’s salaries and come to me. Go to YOUR own Senator!” the tweets read. But BudgIT, Nigerian civic social enterprise, told the “common sense” senator that Nigerians had the right to ask him since he is a “senator of the Federal Republic of Nigeria”. “But your bio reads Senator of the Federal Republic of Nigeria. It is common sense for Nigerians to ask you,” BudgIT tweeted back.